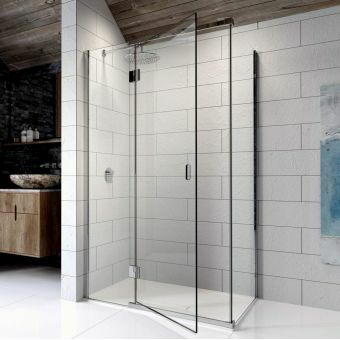 Mounted on smooth action runners, the pinnacle8 sliding doors bring a quiet and serene touch to the shower space. 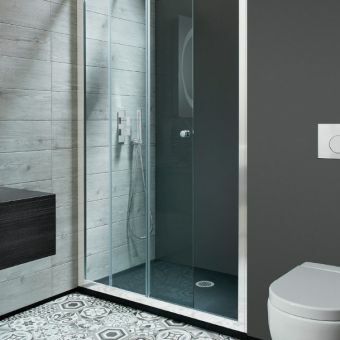 Eliminating the need to cater for the outswing of the standard hinged door, the sliding door option is a logical choice in the bathroom with limited floorspace. 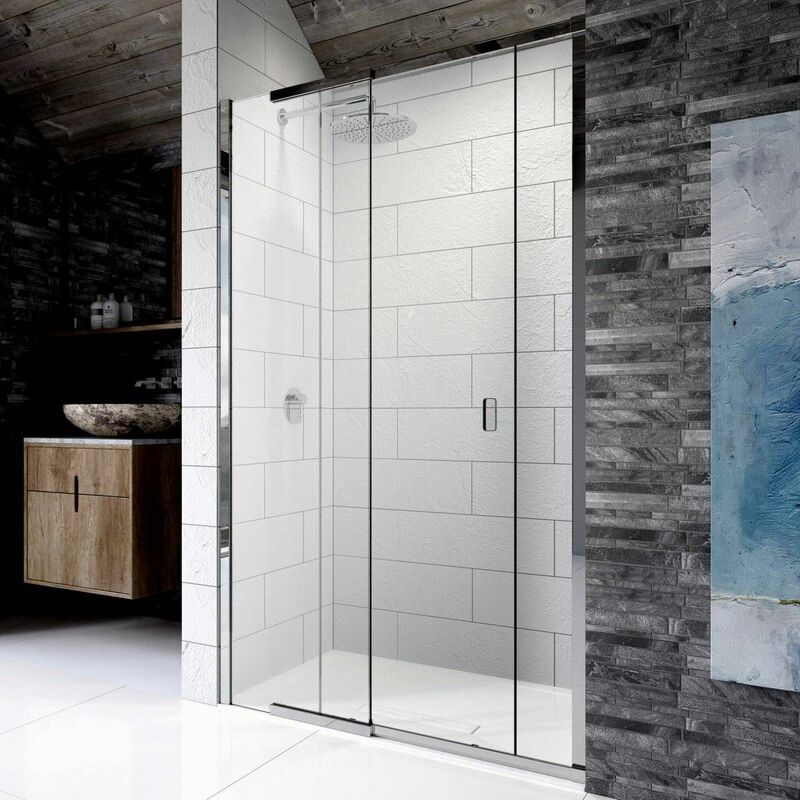 Reminiscent of Scandinavian interiors, but designed and manufactured here in the UK, the poise and balance of pinnacle8 is immediately apparent. 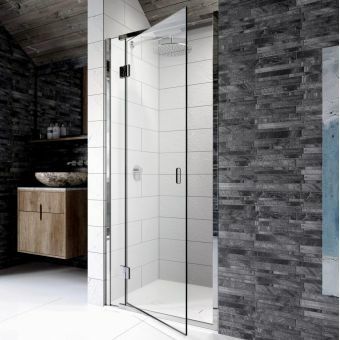 When installed, its organic and almost minimalist character ensure a space that is an utter joy to step into, each and every time you shower. A cutaway door handle is a trademark design of Pinnacle8, demonstrating the virtue that less is more when it comes to classic design. 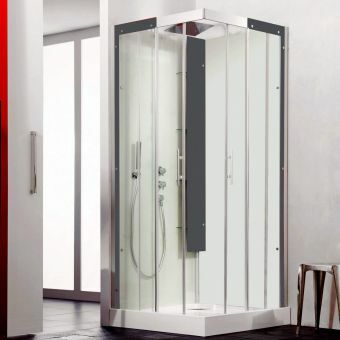 Using 8mm toughened safety glass, the door and panels are fully powershower proof. As an added bonus, Kudos LifeShield glass treatment is included as standard. 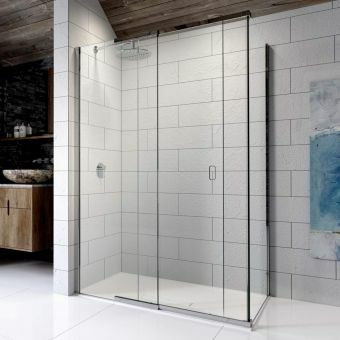 Using nano-technology, this coating gives a pure surface, removing any imperfections in the glass and eliminating the potential for dirt or soap residue to build up. A 10mm wide extension profile can also be added just in case your recess is not the correct size (please call). 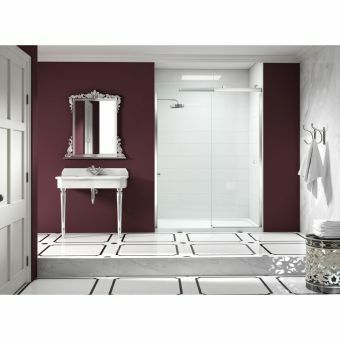 A shower tray is not included but we can recommend one or you can choose one at checkout.